The Monitoring Team (MT) of the United Nations Security Council (UNSC) 1267 Sanctions Committee, dealing with the Taliban, Al-Qaeda and Daesh, visited Pakistan from January 25 to 26, 2018 for a review of its compliance with the UN sanctions regime. In this context Pakistan has already banned Jamaat-ud-Dawa (JuD), and Falah-e-Insaniyat Foundation after they were declared terrorist organisations, by the US and the UN. In the above context, it was being propagated by India that the purpose of the visit of the above mentioned MT was to put pressure on Pakistan regarding taking action against Hafiz Saeed, the chief of JuD. India alleges Hafiz Saeed for being involved in planning the Mumbai attacks in 2008, and at India’s behest, Hafiz Saeed and his organisation were added to the UN Security Council Resolution 1267 sanctions list in December 2008. Based on Indian allegations, Hafiz Saeed was put under house arrest in Pakistan in 2008, 2009 and 2017, but was released on orders by the Pakistani courts because India could not provide any evidence against him. Regarding Hafiz Saeed, recently, Pakistani Prime Minister Shahid Khaqan Abbasi told the country’s private television station, Geo TV, that Pakistan had not convicted Saeed of any charges because there was no evidence and if there was a case, action would be taken”. “Pakistan has already banned JuD, Falah-e-Insaniyat Foundation after they were declared terrorist organisations by the UN, and not allowed to operate,” Abbasi said. The Prime Minister told Reuters news agency that Pakistan will move against the charities that have ties to Saeed. In view of its strategic interests linked with India in relation to Afghanistan situation and its Indo-Pacific policy to contain China, the US administration also seems to be under Indian pressure to support its stance on Hafiz Saeed and JuD. To please India, the US administration asks Pakistan that it should take action against Hafiz Saeed even without concrete evidence to be provided by India. The US too supports India’s influence in Afghanistan that enables it to encircle Pakistan and continue destabilising Balochistan using Afghan soil to create hurdles in the development of the CPEC. Although to make Pakistan a scapegoat for its failures in Afghanistan, the US also blames Pakistan for giving sanctuaries to the Afghan Taliban and Haqqani Network. And, encouraged by the US support, to damage Pakistan’s international standing and credibility and bringing it under the US and UN sanctions to strangulate it economically, India keeps blaming Pakistan for any terrorist attack that happens in Afghanistan or India. And, while the US supports India’s such allegations against Pakistan without evidence, it is also closing its eyes on India using Afghan soil to destabilise Balochistan and CPEC project. In this regard, Indian media’s false propaganda that UN, MT had visited Pakistan in January 2018 to press it for taking action against Hafiz Saeed and that Pakistan has been included in the Grey List of FATF on February 21-23, 2018 indicates that it was part of the India’s efforts to create other countries’ support for the US motion which was being proposed to the meeting of the Financial Action Task Force (FATF) at Paris on February 21-23, 2018, meant to place Pakistan under the FATF global terrorist financing watch list and ultimately under the US and UN sanctions. In this regard since India and the US were working in unison, it was a possible reason that despite Pakistan’s intense diplomacy, the three countries, France, Britain and United Kingdom, had also agreed with the US to co-sponsor the motion. The FATF is an international intergovernmental body of 46 member countries that makes consensus based decisions. As stated by the Pakistan’s foreign Minister, in the February 21-23, 2018 meeting of FATF, Pakistan has not been placed on the Grey List and a review of the case will again be done in June 2018. This has happened due to an active diplomacy done by Pakistan and with the close support of its friends. Being put into the watch list in June 2018 would mean that it can have harmful consequences for Pakistan’s economy, in the form of impeding foreign investments and making it more expensive to borrow money from the international debt markets. 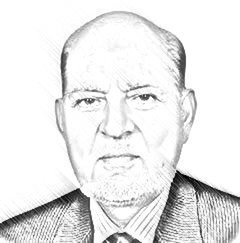 In the light of the above, with a view to avoiding its inclusion in the Grey List in June 2018, it is important for Pakistan not only to meet the requirements of the UN sanctions regime through correct and quick implementation of the National Action Plan, it should also continue with its effective diplomacy to convince the US, UK, Germany and France to consider Pakistan’s immense contributions and sacrifices in the war on terror positively and cancel their proposal of including Pakistan’s name in the FATF Grey List. In this context, Pakistan should also ensure that our friendly countries like China, Saudi Arabia, Turkey and Russia remain steadfast in providing diplomatic support to Pakistan. Published in Daily Times, March 3rd 2018.